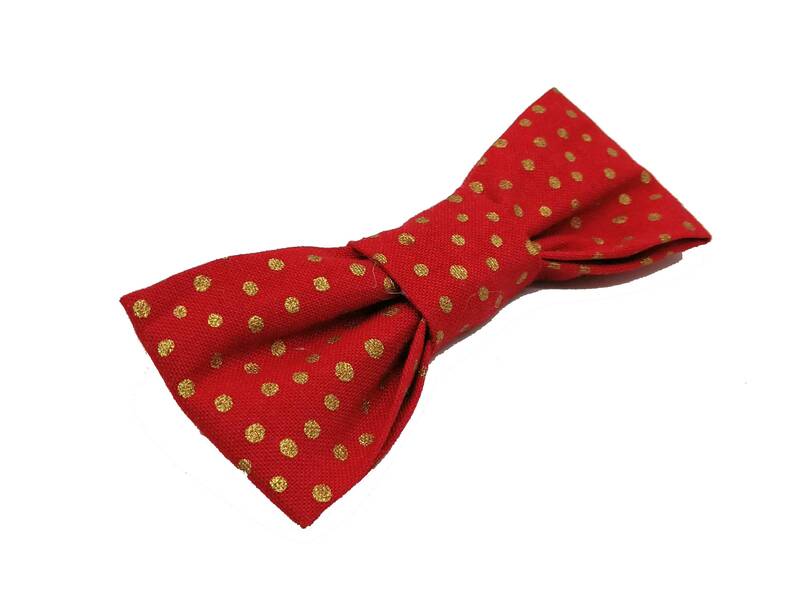 This red with gold spot bow tie is a definite for the fashionable cool cat or dog in your life. Simply slide on your your existing collar or onto a fabulous matching one. 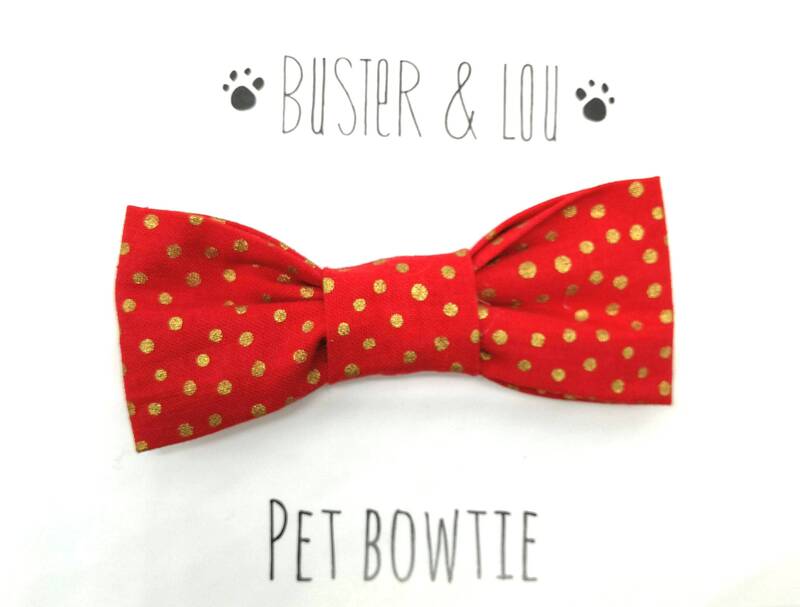 They are also great for the small dog and measures approx 10 x 4 cms at the widest part. It slides onto a 1 cm width collar.